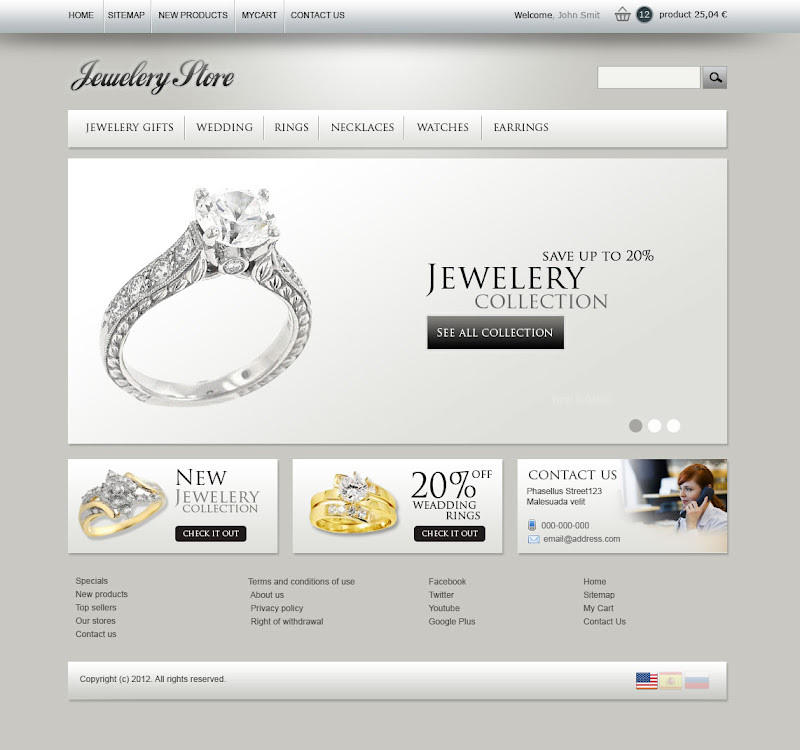 Jewelery Store (960px width), template file for e-commerce website and specially suitable for jewelery web stores. It is in dark and white color (2 color). All the graphics are customize through Photoshop Software. It is based 16 columns grid design “skeleton” framework.